Scooters aren't supposed to be exciting. 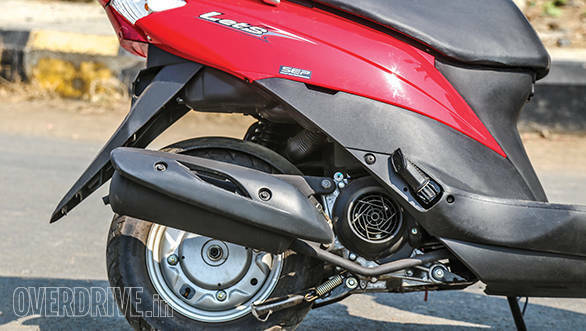 At least not these 100-125cc clones that continue to post unbelievable sales figures in India. But right after we crowned the Suzuki Let's as our top fun scooter, the TVS showed up and made all manner of promises. Could it be good enough to surpass the Let's? The debate has raged in the OVERDRIVE office long enough. Today is the day when we answer that question once and for all. 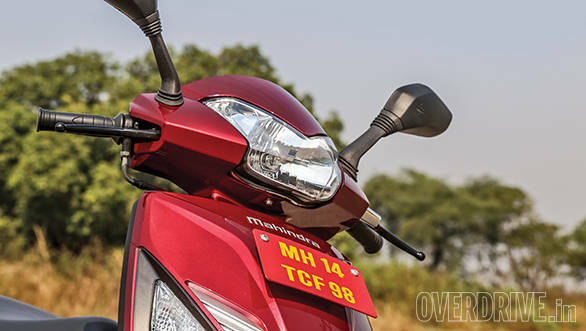 In the mix, we've added the equi-displacement Mahindra, just to see where it fits into the Indian scooter firmament. Of all the automotive sectors in India, it's the scooters that are the most impressive when it comes to product quality. They're all usually rather well made with the exception of the switchgear which is usually either indifferent or terrible. This trio is no exception. All three wear their plastic bodies well, interface lines between painted and matte bits are clean and the area around the fuel filler cap is, as usual, clearly designed less than everything else. None feel like it's about to fall apart even under duress though somehow the TVS does feel like it has some tiny advantage on the build quality front. Its plastics appear a smidgen better and the finish is exceptionally clean too. In design terms they're quite different. The Gusto is the most awkward of the three, but mostly because of its odd front apron design. It looks smarter in black because the dark colour hides the overabundance of design. But the rest of the scooter looks pretty smart. Though I don't agree with Rishaad's constant spotting of Aston Martins in its lamps, I do think the Mahindra's rear end looks pretty smart. I think Mahindra tend to garnish their designs too heavily and they'd all look classier if the designs were a bit more restrained. The Gusto is just one more scooter that could be de-garnished to class-ify. Design flair is reserved for the rear where the lights and beaky tail look like a shark. Let's Jaws! The Let's clearly is meant to be a feminine scooter. It's slim in feel and look and the front apron is almost too skinny. I don't mind it but I do like the fact that the petite build connects me visually with its 98kg wet weight. I see it, I expect a light scooter and that's what I get. Pretty however, I think the Let's is from most angles except front-on. But the Zest 110 is the new benchmark for design in my book. Now there's something I don't get to say about TVS often. It's not a big leap forward for Indian scooter design but it's special. Strip off the stickers and the girly scooter positioning and you'll see a stubby, sporty, chunky-wheeled SE Asian style scooter. I would totally get one in black. On the whole, all three scooters are well made and feel like they'll survive years of urban punishment. In styling terms, I'd say the Gusto could be classier, the Let's could show more flair and the Zest is the best despite the unnecessary gender biased marketing tone. 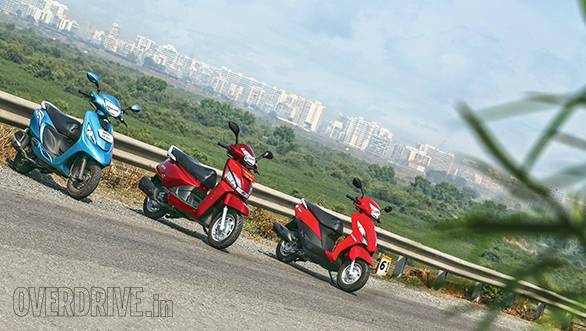 The Zest 110 tries very hard to stand out from the scooter crowd while playing to the traditional design elements of the Scooty. It comes pretty close to the goal. All three scooters wear new 110cc engines. The Gusto's 109.6cc engine is christened the Mtech. It makes 8.2PS - within the ballpark of power outputs in the 110cc scooter arena. The TVS makes 0.2PS less, while the Let's makes 8.7PS, the most on this test. All three make their peak power at 7,500rpm. Torque outputs are similar too. Both the Mahindra and the Suzuki make 9Nm at 6,500rpm while the Zest makes 8.7Nm at 5,500rpm. It's this kind of similarity that leads me to call all the scooters clones. But while the power and torque outputs are pretty close, there's a big difference in what the power and torque have to propel. While the Zest and the Let's weigh in at a scant 98.5 and 98kg respectively, the Gusto weighs 120kg. That's not just 20-odd kg heavier than these two, but roughly 10kg heavier than most other scooters on the market. What this does to the Gusto is basically slow it down. 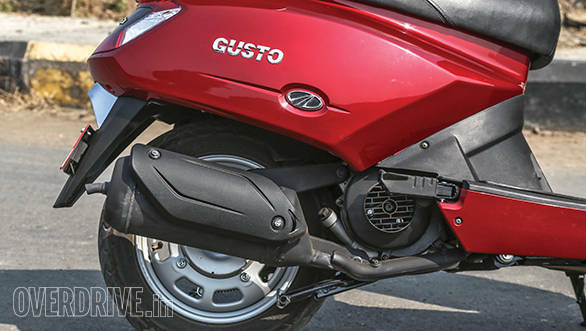 The Gusto's top speed is 85.3kmph while 60kmph from a standing start takes a slow 12 seconds. 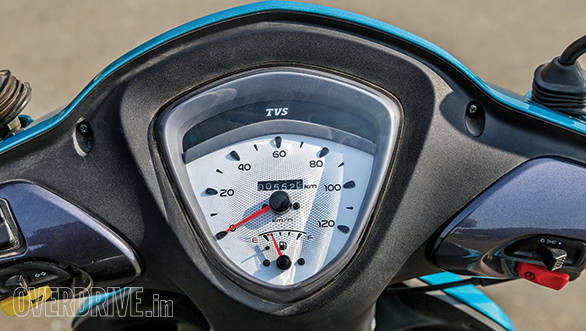 The Let's is not only faster and quicker than the Gusto, but also most other scooters with its top speed of 90kmph and 0-60kmph time of 9.8 seconds. The TVS takes a different approach. 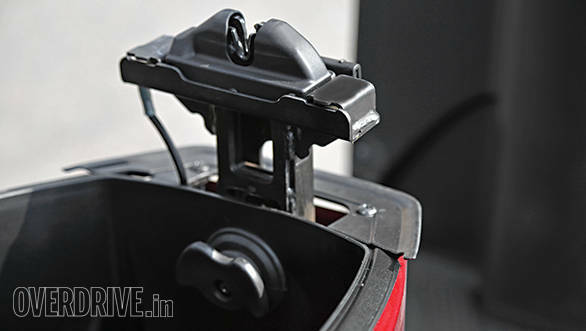 The Zest transmission is geared to run hard to 60kmph and then taper off. As a result, the top speed is 82.51kmph, the lowest here. But 60kmph is 9.65s away which is not only the quickest time here, but also the fastest among all the scooters we have tested. Obviously, we must follow up performance with economy. The Gusto is the most fuel efficient scooter here, returning 58.2kmpl in the city, which boosts its overall figure to 60.3kmpl. The Let's' (yes that is grammatically correct) highway numbers are the best here - 65.3kmpl but the city figure is 52.2kmpl and that gives it the second best overall economy at 55.5kmpl. 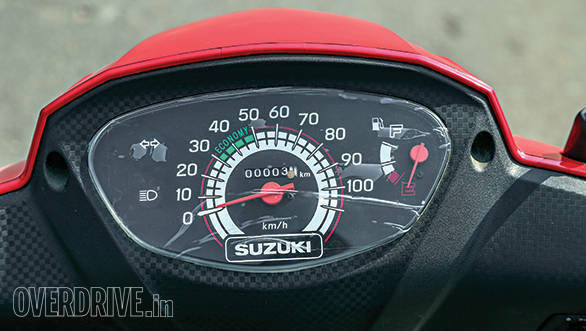 In the middle is the Scooty Zest with an overall figure of 54.2kmpl. Thing is, none of these figures is outstanding enough to help with a purchase decision, only to establish that all three are economical enough. The difference in performance might seem very small in the numbers but is noticeable in daily riding. The Gusto has amazed us with its refinement and poise but jump on to the Let's right after and you'll notice a clear jump in performance and response. And the Zest 110 feels more direct and more punchy still. All three can slip through traffic with speed and without effort but while the Let's is really good at it, the Zest is just something else. The top scooter in our books has been bettered by a small, but clear margin at this point. 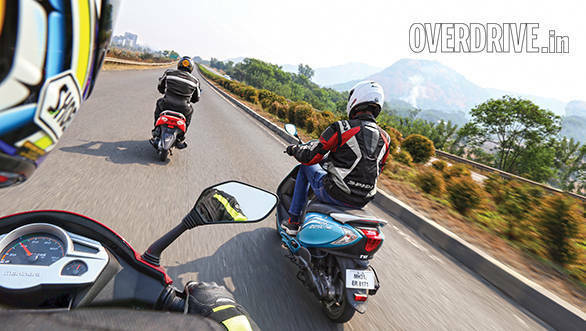 All three scooters completely outclass the market leader, the Honda Activa on most fronts. The biggest difference to us is the front suspension. All of these get telescopic forks while the Activa still persists with its imprecise trailing link forks. Within these three though, the ride quality is a tough decision to make. All three are reasonably good but the low ride height, small wheels and relatively small suspension travel make scooters far better for good roads than bad by design. That said, the Let's is the stiffest of the three scooters by a small margin - perhaps the reason why it was just a devastating tool at our track test. In the real world, that means a slightly larger share of discomfort over the same roads as the other two. The Gusto and the Zest are softer and it works to their advantage - they're both slightly more comfortable over the bumps. 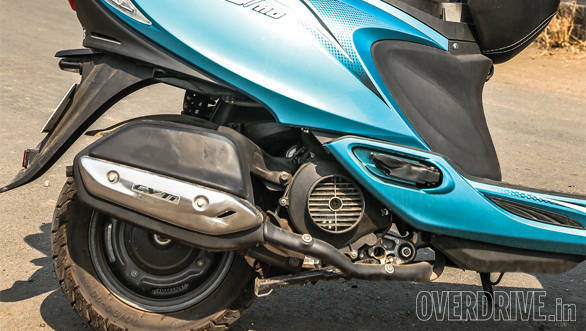 When it comes to handling, though, the Gusto despite its 12-inch wheels gets left a little behind by the other two. It is once again the weight of the Gusto but also the fact that the Let's and the Zest both enjoy being scooters more - they're more fun to corner. 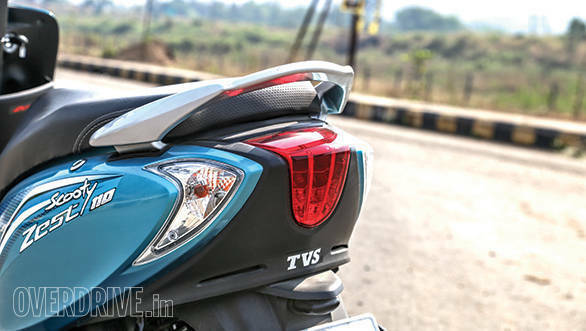 Between the Zest and Let's, the difference is very minor but once again, it's the TVS that really impresses. You always seem to have more grip and more turning ability left than the Suzuki. Both the scooters are tremendous fun in traffic and on curvy roads but the Zest has a spring in its step that the Let's will find hard to match though it'll run it close. In terms of the braking, there isn't much in it. We're happy that all three have lockable rear brakes and saddened that disc brakes are just not appearing in enough scooters. All three have pretty similar switchgear so there isn't much in it. But in the underseat game, the Let's is behind. The tray is pretty shallow and there's the big bump in the middle that occupies a lot of space as well. We also put our 6'4" Lijo on the scooters and he instantly found that the Let's was the only scooter where his legs were messing with the bars. On the other hand, the Let's is the only scooter here with that magnetic theft protection gate. The Zest is ergonomically very effective allowing everyone from Alan, our widest to Lijo, our tallest and me, our smartest to fit in effortlessly. The underseat cavity is nearly flat bottomed and pretty wide. TVS say it was designed with college students' books in mind. But the vote for innovation, for me, goes to the Gusto. Mahindra thought about the seat and they've made one change and added one feature that I think makes great sense. First, the rear-hinged seat. As we've found it has some clear advantages over the front-hinged seats. It's easier to operate as well as to hold open while you're refuelling. But more important is the seat height adjustment. 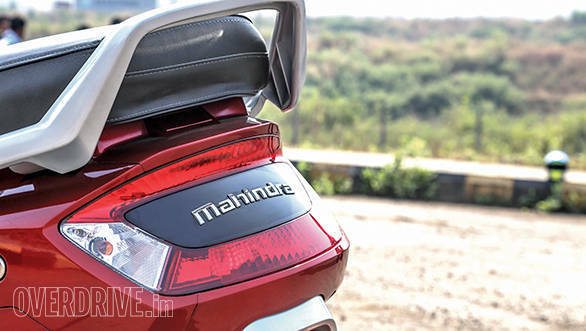 The mechanism could look more slick but essentially, the front of the Mahindra's seat can be quickly raised or lowered to offer a different seat height. It's not perfect because the lowest position makes the seat slope forward but for a short inseamed rider, this really would work. 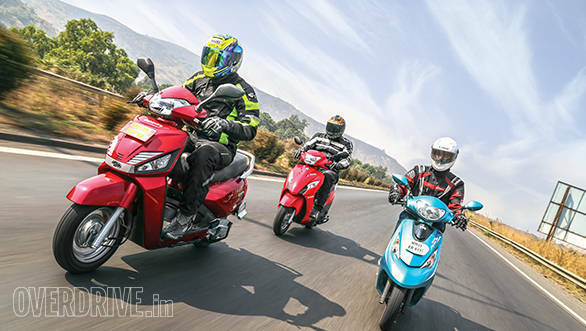 It's pretty clear that the Gusto is a larger, heavier scooter than the petite Suzuki and TVS. In this comparison, though, the size fails to make the Gusto come out on top. 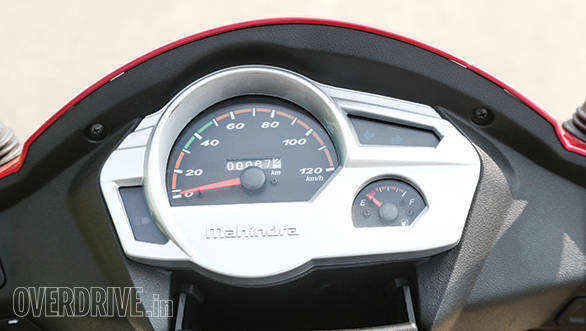 But Mahindra Two-Wheelers should be very proud of how good the Gusto is and how much of a leap forward in proficiency it represents. 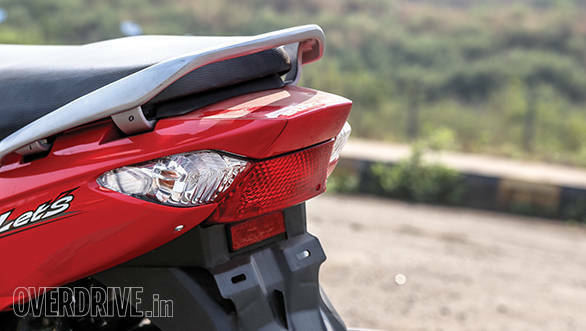 It's a credible alternative to a number of scooters on the market and it should take just a little bit more of refinement and engineering to create a truly great scooter for Mahindra. In price terms, the Gusto is Rs 7,000 more than the Let's and before you spit out the coffee, that's the top version with the fancy key and the seat height adjustment. 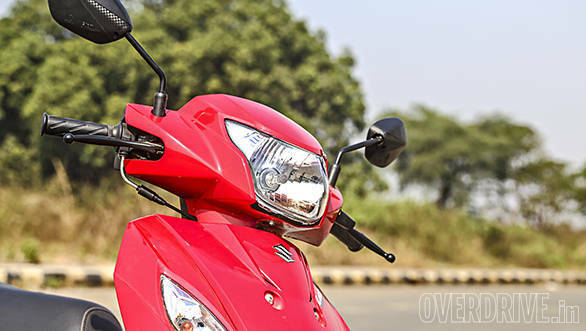 The base version is Rs 54,945 on-road Mumbai which makes it Rs 2,000-odd more than the Suzuki, roughly the kind of prices that the non-girly scooters command. Between the Zest 110 and the Let's though, I expected the battle to be closer. That the Suzuki would show the TVS up at every step. But whether in numbers or in the real world, the Let's is always a close second. Always close and always second. They're close in price. The Suzuki is Rs 52,260 on-road Mumbai while the Zest is Rs 55,350 on-road Mumbai. Which means you now have the choice of two excellent scooters billed as girls' scooters. They're the lightest, quickest buzzbombs on the market and pick either and you will be happy. I'd pick the Zest in every case unless that last Rs 3,000 was just too hard to come by. 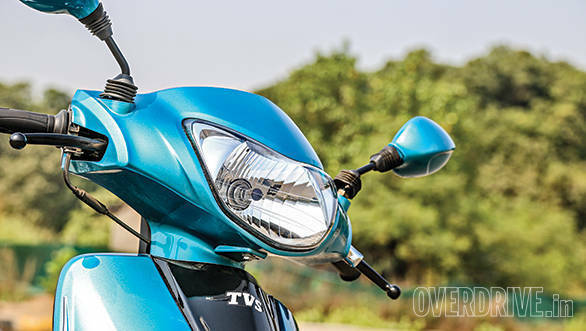 The winner, clearly, is the TVS Scooty Zest 110. The Hosur boys have clearly found some magic that makes riding the Zest special.